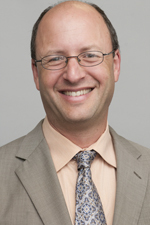 The study’s authors, Steven Cohen, Jack Ukeles and Ron Miller, interpret the study’s findings to be consistent with Cohen’s broader claim that attachment to Israel is declining across the generations among non-Orthodox Jews, primarily due to intermarriage. A careful review of the evidence presented in the study report, however, suggests the possibility of an alternative interpretation. The finding that the youngest age group is more attached than the adjacent group echoes the CMJS 2010 national survey (see below). We attributed this somewhat surprising observation to increased travel to Israel among younger American Jews—a result of the launch of Birthright Israel in 1999. In the New York study, as well, we see that Jews in the 18-34 age group were more likely to have visited Israel than Jews in the 35-49 age group. In short, as the authors acknowledge, emotional attachment to Israel varies by age together with other measures of engagement with Jewish life. Younger respondents’ “relative detachment from collective Jewish identity” may therefore be a very good explanation for their comparatively lower level of attachment to Israel. Attachment to Israel is up in the youngest age group. This finding is cropping up now in a number of studies and should be regarded as a strong exception to the claim that emotional attachment tends to decline from the oldest to the youngest cohorts. 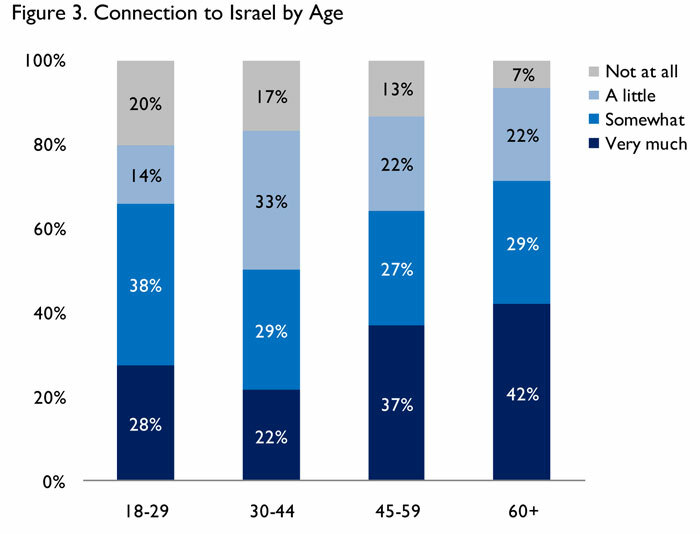 Although the available evidence cannot demonstrate the claim definitively, the higher-than-expected level of Israel attachment in the youngest 18-34 group is likely a result of increased travel to Israel. There is no evidence of a “drop” in emotional attachment to Israel among non-Orthodox Jews. The modest and inconsistent correlation between age and emotional attachment to Israel reflects a much broader pattern of age-related differences in Jewish identity and engagement. Non-Orthodox younger Jews are less connected to Jewish life across multiple measures than their older counterparts. Emotional attachment to Israel follows the broader pattern. Elsewhere, my colleagues and I have shown that these differences are more likely related to lifecycle than generation; in other words, younger Jews will likely (all things being equal) grow into more engaged and attached Jews as they enter mid-life. Again, as above, because the study reports data on the 18-34 age group separately for those who live with a parent and those who live independently, I am left to estimate the overall figures – in this case for visits to Israel. The 18-34 respondents who live independently were substantially more likely to have visited Israel than their adjacent 35-49 counterparts (42 versus 34%). The 18-34 respondents who lived with a parent were slightly less likely to have been to Israel (31 versus 34%). This entry was posted in Israel and tagged Israel Attachment by cmjseditor. Bookmark the permalink.